TECH ONE combines modern innovations and tested solutions. Due to a small, compact cover and 24-pin connector the fitting is much easier and faster. The use of a digital control panel made it possible to reduce the number of communication cables which facilitates threading the bulkhead. Semiconductor petrol injectors emulators provide precision and reliability of switching between different fuel types and offer the possibility of additional extra-injection gasoline while working on gas or alternating injections to protect the fuel intake valves. Proper engine management is ensured by algorithms tested and developed over the years by LPGTECH designers. They provide the possibility to calibrate the car in every field of engine work. Additional adjustments of pressure, temperature and RPM make the regulation more precise. 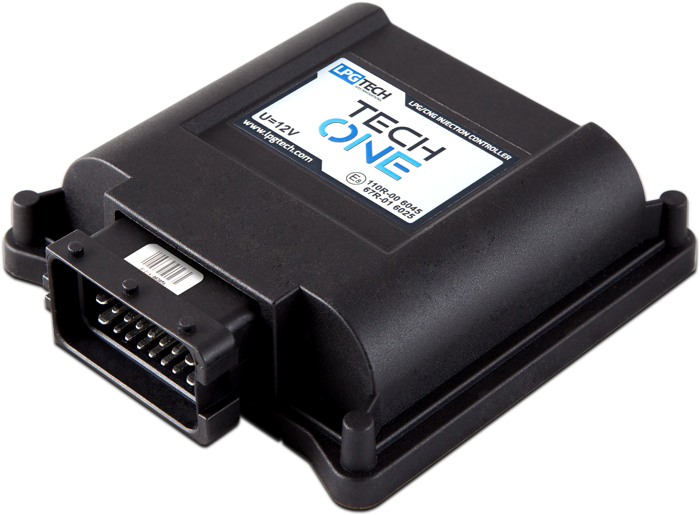 TECH ONE is the perfect choice to reduce the cost of gas instalation in the 4-cylinder engine which does not requires the use of gas injection controller that supports the car OBD.